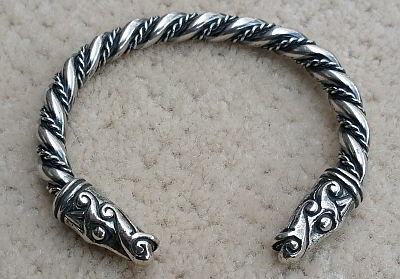 Crafty Celts recaptures and preserves the traditions of art of the ancient Celtic peoples, taking pride in quality and craftsmanship. 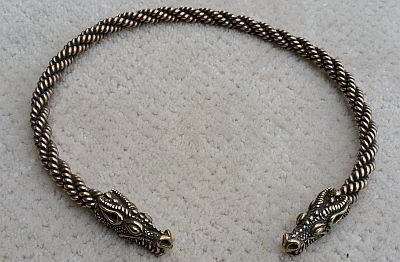 Saxon Dragon torc was inspired by one of the great epic battles of Anglo-Saxon mythology – Beowulf’s fight against the Dragon. For the Celts the dragon was a sign of war, and it was under the cloth battle-banners shaped like dragons, writhing and twisting in the wind, that they marched to war against the golden eagles of the Romans. 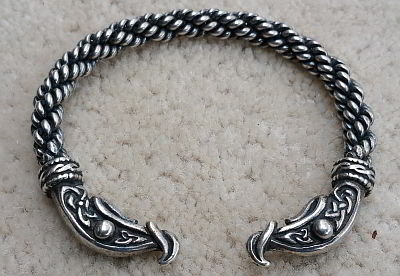 Rollo’s Viking Horse Bracelet As seen in the History Channel’s “Vikings”.